At a recent meeting of the Technical Committee of the National Patient Safety Council, it was unanimously agreed that Clinical Governance be aggressively promoted in Malaysia as it is central to the issue of patient safety. It is increasingly evident that there is a need for reform in medicine. Societal views towards the medical profession are changing. Wide media coverage of medical errors and controversial medical decisions has led the society to question and be cynical about the professional rights and privileges of doctors. The public today is less forgiving. They also have less faith in doctors and their ability to regulate themselves. The term "Clinical Governance" was first coined by the National Health Service (NHS) of the United Kingdom following the Bristol Royal Infirmary incident where inadequate standards had led to unnecessary mortality and morbidity among patients in the paediatric cardiac surgery unit. An Official Enquiry was established in 1998 to investigate the deaths of 29 babies who underwent cardiac surgery in the late 1980s and early 1990s, and the report which ensued effectively provided a blueprint for wider reform of the NHS. The report exposed among many things the "old boy’s" culture among doctors; patients being uninformed about their treatment; inadequate standards in clinical safety; secrecy about doctor’s performance and a lack of external monitoring of clinical performance. Clinical governance was defined then as "A framework through which NHS organisations are accountable for continually improving the quality of their services and safeguarding high standards of care by creating an environment in which excellence in clinical care will flourish" (NHS Executive 1999). It is a systematic approach to maintaining and improving the quality of patient care within a health system and is about corporate accountability for clinical practice. 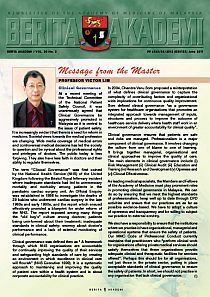 In 2004, Chandra Vanu Som proposed a reinterpretation of what defines clinical governance to capture the complexity of contributing factors and organizational wide implications for continuous quality improvement. Som defined clinical governance "as a governance system for healthcare organisations that promotes an integrated approach towards management of inputs, structures and process to improve the outcome of healthcare service delivery where health staff work in an environment of greater accountability for clinical quality". Clinical governance ensures that patients are safe and risks are managed. Professionalism is a major component of clinical governance. It involves changing the culture from one of blame to one of learning. It brings together managerial, organisational and clinical approaches to improve the quality of care. The main elements in clinical governance include (i) Risk Management (ii) Clinical Audit (iii) Education and Training (iv) Research and Development (v) Openess and (vi) Clinical Effectiveness. 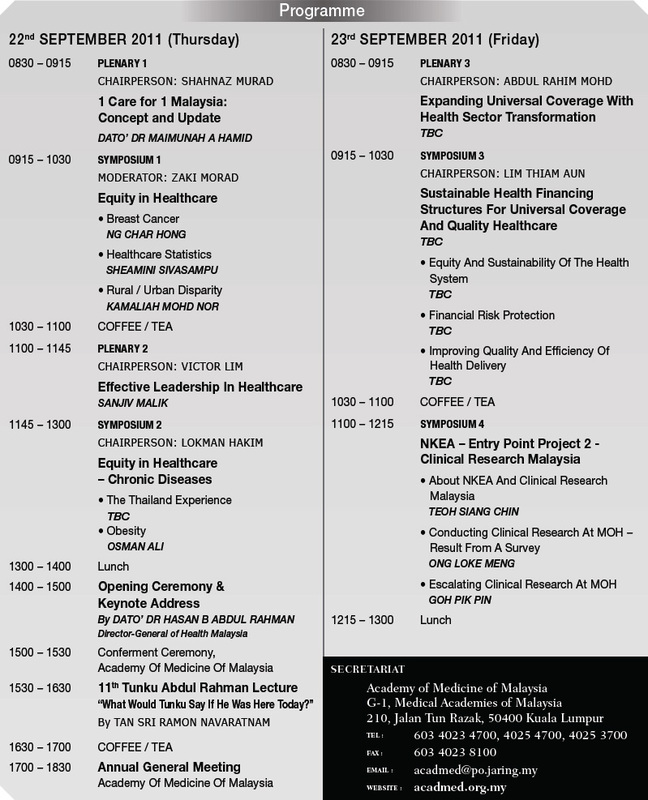 As leading medical specialists, the Members and Fellows of the Academy of Medicine must play prominent roles in promoting clinical governance in Malaysia. We can do so by ensuring that we meet the highest standards of professionalism, keep well up to date through CPD activities and ensure that our practices are as far as possible evidence-based. We have to adopt a culture of openness and transparency and be willing to subject our practice to external scrutiny. We also have a responsibility to ensure that the institutions where we practise in have organizational, managerial and operational systems that ensure the safety of patients. Our MMC Code of Professional Conduct currently maintains that practitioners who “perform clinical work for organisations offering private medical services should satisfy themselves that these organisations provide adequate clinical and therapeutic facilities for services offered”. Perhaps this should be for all organisations, not just those in the private sector, putting in place acceptable standards of clinical governance to ensure the safety of patients. In short, we should not practise in any organisation that lack clinical governance. Your good self may be aware that I had raised this matter during the last Annual General Meeting in June 2010. The chapter on Otorhinolaryngology in the History of Medicine (Volume II) was written by Dato’ Harnam Singh and Dr Kuljit Singh. I really appreciate and commend the article. Dato’ Harnam has commented on his personal struggle and development of ENT service in the earlier years. Dr Kuljit has focused on the university set-up and their achievements. I was greatly disappointed to note that our contribution towards the development of the ENT services from the Ministry of Health (MOH) in the later years had not been acknowledged and not a single word had been mentioned. When I took over the ENT department at MOH in 1980, there was only one functioning ENT department in Hospital Kuala Lumpur in the MOH to cater for the whole of Malaysia. The burden thus fell on us to develop the discipline and to spread it to the rest of the country. We have instituted an active training programme at the Hospital Kuala Lumpur in addition to our commitment to the service aspect. Thus, we were able to help about 30 of our doctors to get their fellowship in ENT during the period between 1980 and 1995, the year I retired from the government service. Hence, when I left the government service we were able to achieve having a functioning unit in each state of Malaysia including Sabah and Sarawak. I have presented a paper on the development of Otorhinolaryngology in Malaysia in my keynote address in the 10th Asia-Oceanic ORL Head and Neck Congress, held at the Shangri-La Hotel, Kuala Lumpur on 23rd February 2004. This is an unbiased report. I have sent along a copy of the report* with some minor modifications for your kind attention. I would like to thank the Chairman and the Organising Committee for having chosen me to deliver the Keynote Address at the 10th ASEAN Oceania ORL Head and Neck Congress. It is indeed a great honour for me to receive this invitation. I joined the ENT fraternity as a registrar at the General Hospital Kuala Lumpur in 1972. That was 30 years ago. Little did I imagine that I would develop a close association with ENT services in Malaysia and would be linked to the development of Otorhinolaryngology in this country in one way or another. Indeed I am grateful to the Divine Almighty for guiding me in all my endeavors. Malaysia got her independence from the British administration in 1957. Otorhinolaryngology began to develop as a separate specialty only from 1958. Earlier, before independence, the ENT lesions were managed by General Surgeons and Physicians. During its infant stage, the specialty faced many obstacles which were overcome at a slow pace. I would like to recall the contributions made by our early pioneers who did not have a rosy platform. In the year 1958, a year after Malaysia’s independence, the late Dr K L Lam from the ENT Department of General Hospital Singapore returned to Malaysia and set up the first ENT centre at the General Hospital Kuala Lumpur. In 1963, the Ministry of Health sent Dr Harnam (who is now a Dato’) for the ENT fellowship (FRCS) in United Kingdom on a government scholarship. Dato’ Harnam returned from United Kingdom in 1965 after obtaining a double fellowship, one from the Royal College of Surgeons of England and another from the Royal College of Surgeons of Edinburgh. On his return, he was first posted to General Hospital Johore Bahru and later transferred to General Hospital Kuala Lumpur in 1967. In 1970, he resigned from the government service and started his own private practice in Kuala Lumpur. While he was in the government service and outside, he had contributed in a great scale to the development of Otorlaryngology in this country. He has served as the President of the Second ASEAN ENT Congress held in Genting Highlands in 1984 and is now actively involved in promoting the field of Allergy and Immunology. He is the founder president and current President of Malaysian Society of Allergy and Immunology (MSAI). The next person who comes to my mind is Professor Dr Umapathi Prasad who is Fellow of the Royal College of Surgeons of Edinburgh. The first faculty of medicine in this country was started in the year 1965. A separate department of ENT at University Malaya was started in 1968 to promote undergraduate teaching. 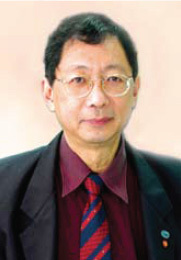 Dr C C Chee served as the first head of department. Dr Roland Werner, a doctor with Dental qualifications, took charge of the department in 1969 but was replaced by Dr Umapathi Prasad in 1971. Dr Prasad remained as the head until 1991. He later continued to serve the department in a professorial capacity until last year. During his period of service, he had contributed tremendously towards the development of ENT services in the country. He took a special interest in nasopharyngeal carcinoma, a disease which is prevalent in this region, and his contributions led to better understanding of the disease and its management. Professor Prasad had been honoured with the Tun Abdul Razak Award in 1989, in recognition of his paper on “Outstanding Research Into Cancer” which received international recognition. Professor Prasad was instrumental in organising an International Symposium on Nasopharyngeal Carcinoma, in the year 1984. He was also the founder President of the Malaysian Society of Otorhinolaryngologists. In 1978, he started the ORL Department at University Kebangsaan Malaysia, otherwise known as the National University of Malaysia. In 1982, he started the first local postgraduate programme in ORL. He was helped by Professor Prasad in designing the postgraduate curriculum. This 4-year course saw the first locally trained ORL surgeons in 1986. Previously all ORL surgeons were trained abroad. He had taken great efforts along with Dr Gnanapragasam and Dr Ravindran, who are two of our senior ENT Surgeons in this country to found the Society of Otorhinolaryngologists in 1980. In 1984, he was the main person behind the hosting of the 2nd ASEAN ORL Head and Neck Congress at Genting Highlands, which was attended by international figures like Professor Harrison, Dr Eugene Tardy, Dr Bill Gibson and Professor Maran. Now, we again move back to the government side where the main focus is in service. After a brief gap following Dato’ Harnam’s resignation from the service, Dr Tshang Hshing Huang was appointed as head of the department in 1970. He too had earlier obtained his fellowship from Edinburgh. He was very much interested in academic activities in addition to providing service. During his period, he promoted the concept of strip mucosa biopsy of the postnasal space as a form of diagnosis of nasopharyngeal carcinoma, which was later replaced by specific punch biopsies from fossa of Rosern- Muller. It was at this stage, I was appointed as the registrar in Otorhinolaryngology at the General Hospital. In 1958, ENT service was introduced in this country as a separate specialty at General Hospital Kuala Lumpur. In 1968, undergraduate teaching in ENT started at University of Malaya. In the same year (1968), the Zeiss operating microscope was installed at the University Hospital. This was followed by another one in General Hospital Kuala Lumpur. An ultra modern ENG Electronystagmography unit was established in 1970 at the University Hospital. Also facilities for early audiological assessment were made available at both the General Hospital and University Hospital. The first laser machine (CO2 Coherent System) was obtained by ENT unit at University Hospital in 1982 and laser surgery was introduced. This was closely followed by the ENT units at University Kebangsaan Malaysia and General Hospital Kuala Lumpur. 12th January 1980 saw the birth of the Malaysian Society of Otorhinolaryngologists and Head and Neck Surgeons. Attempts to form the Society dated back to 1973, when Professor Imran, Dr Gnanapragasam and Dr Ravindran, three of our senior members put in lots of effort and arranged for an Inaugural Meeting which was held on 12th October 1979 at the University Kebangsaan Malaysia. Dr Farquahson, as a visiting professor to UKM, spoke about the British Association of Otorhinolaryngologists and gave us some valuable ideas. With lots of hard work, the protem committee was soon formed. By this time, our club membership had increased and so had their enthusiasm. Within a year, the Malaysian Society of Otorhinolaryngologists was born on the historic day of 12th January 1980 at the Lecture Hall 3, Clinic Block, Faculty of Medicine, Universiti Kebangsaan Malaysia, Jalan Pahang, Kuala Lumpur. The founder President was Professor Dr Umapathi Prasad. Most of the present day senior ENT surgeons have served in the capacity of the president. The current president is Professor Dr Din Suhaimi, a young and energetic upcoming ENT consultant attached to University Sains Malaysia. The Society started off with 29 members and today proudly boasts a membership of 211. The present logo of the Society was incorporated in 1990 and the name was changed to Malaysian Society of Otorhinolaryngologists and Head and Neck Surgeons (ORL/HNS). The Society, in association with ENT Units at the University Kebangsaan Malaysia, University of Malaya and University Sains Malaysia and other various government hospitals in the country, has held many CME programmes including Temporal Bone Surgery, FESS, Head and Neck Surgery, Phono Surgery, etc. It organises scientific meetings annually where the postgraduate ENT trainees and young ENT surgeons are encouraged to present their papers on a competitive ground to aim for the coveted resident prize, now known as the “Dato’ Harnam Award”. The later congress had a popular academic faculty which included Professor Eugene Myers, Professor Paul Fagen, Professor David Kennedy, Professor Stamberger, Professor Valerie Lund, Professor Ramalingam, Dr K J Lee and many others. There was a large turnout of delegates from far and near, despite the regional recession then. In 1982, the National Council on Postgraduate Medicine was formed. The Malaysian Society of Otorhinolaryngologists worked very hard to establish a separate board on Otolaryngology led by Professor Dr Imran Gurbachan. The first postgraduate course in ORL took off the ground at the University Kebangsaan Malaysia’s medical faculty in 1982. This was later followed by another programme at the University Hospital in 1986 and yet another at the University Sains Malaysia in 1997. 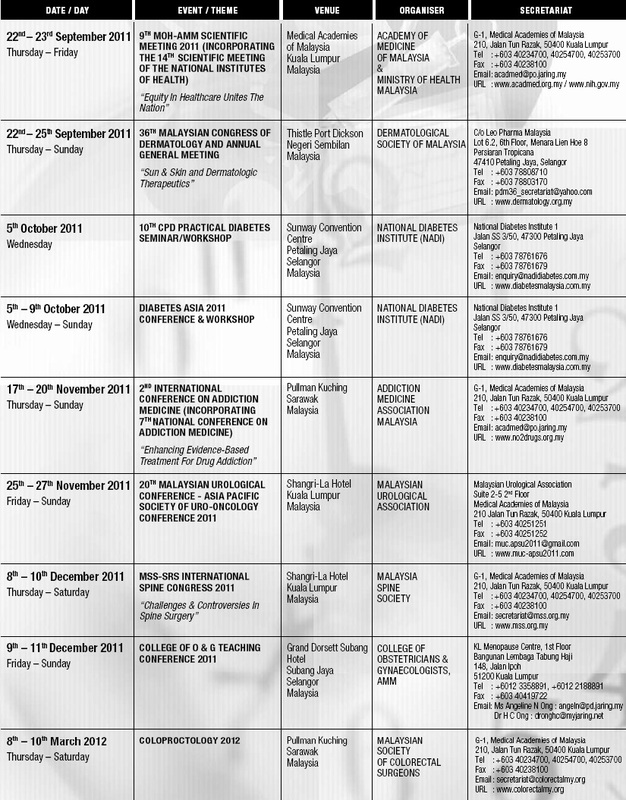 In 1995, a Bachelor of Audiology and Bachelor of Speech Sciences started in University Kebangsaan Malaysia. 25 Audiologists and 30 Speech Therapists have so far qualified. Now, let us look at the present scenario. The child, that had been crawling in the 1960’s and seventies, had started to take bold and fast steps in the 80’s and 90’s. I would now like to present some of the modern architects, who are deeply involved in the shaping of this child. Professor Dr Amin Jalaluddin who had graduated with a Fellowship from the Royal College of Surgeons of Edinburgh, is now the Dean of the Medical Faculty of University Malaya. He took a special interest in Head and Neck Surgery and has published many original articles. Professor Dr Lokman Saim, also a graduate with a Fellowship from the Royal College of Surgeons of Edinburgh and a masters’ graduate from University Kebangsaan Malaysia has done much to promote the field of Otology in this country. In 1994 he became the first surgeon to undergo sub-specialty training in Otology in Boston, USA. He performed the first Cochlea implant in Malaysia. He is also presently the Dean of the Medical Faculty of University Kebanggsaan Malaysia. With this, we now have two members from the ENT fraternity leading medical faculties in two leading universities in the country. Professor Dr Abdullah Sani is the head of the Department of ENT at the National University of Malaysia. He is a graduate with a Fellowship from the Royal College of Surgeons of Edinburgh and Masters’ graduate from University Kebangsaan Malaysia. His field of interest is Laryngology and he has done a great deal to promote it. Now, you will be able to see the various activities conducted in his department on the screen. You may notice the special device he has designed to simulate a natural environment to work in the Cadaveric Larynx. Professor Dato’ Balwant Singh Gendeh, whom all of you know well, is the organizing chairman of this present congress. He had qualified earlier with a masters’ degree from the National University of Malaysia and has concentrated on developing the field of Rhinology in Malaysia. Here is a short description of the activities conducted in his department. He has, to-date, initiated numerous workshops and courses in Rhinology in Malaysia. In the 80’s and 90’s, when the universities were promoting local postgraduate programmes, we, at the ENT department in General Hospital Kuala Lumpur, were preparing our trainees for the fellowship exams in UK. We received close cooperation from the ENT units of University Kebangsaan Malaysia and University Hospital when conducting our programmes. We also had established close rapport with the ENT Department at North Riding Infirmary, Middlesborough in Central England. We acknowledge with gratitude the contributions of Dr Vasant Oswel, Dr Maurice Hawthorn and Dr Liam Floud. Professor Alan Gibb from University of Dundee, Scotland was attached to the ENT department in University Kebangsaan Malaysia. He was a great source of inspiration for us. In 1990, with the help of Dr Paul Fagan and Dr Marcus Atlas, both from Australia, we had conducted a temporal bone surgery course for all government ENT surgeons in the country. This course was held in Crown Princess Hotel, Kuala Lumpur. From our training programmes, about 30 doctors graduated with a fellowship from the Royal College of Surgeons of Edinburgh or Glasgow between 1980 and 1995. I am proud to say the first of our trainees, Professor Dr Gopala Krishnan, is now the Head of Department of the ENT unit at University Hospital. He had also contributed a lot to the development of Rhinology in this country, along with Professor Dato’ Dr Balwant Singh Gendeh. When I was transferred to the General Hospital Kuala Lumpur in 1980, we had only one functioning unit at General Hospital Kuala Lumpur to oversee the entire country. Many ENT surgeons who were earlier serving in the government had resigned to start their own private practices. And I am proud to state that in 1995, when I retired from the government service, all the 14 states in the country had a functioning ENT center with qualified surgeons as the head of state ENT departments. The following are some of the doctors from our department who had qualified Fellowship (FRCS) during the period 1980-1995. And now, where do we go from here. Our ultimate goal will be to set up an institute of Otorhinolaryngology at the national level, where the multiple academic and research programmes from all over the country, and from centres overseas, could be deliberated and debated. This centre will also perform as a tertiary referral center for the difficult ENT lesions. Our surgeons, as you have seen, are already involved in promoting the sub-specialties in the field, and I understand they are also providing services as medical ambassadors overseas, by taking part in conducting training activities. This will be further enhanced in the future. Next, to leverage the advantages of modern information technology, links will be established with countries overseas for purposes of teleconferencing and discussions on cases, and for formulating better management protocols. Student exchange programmes between our local universities and universities overseas will be encouraged and implemented. Efforts will be made to promote further the allied sciences like audiology and speech pathology in the various universities. As a concluding remark, I would like to express the following feeling. The discovery of antibiotics saw an end to acute mastoiditis, the dreadful complications of otitis media and sinusitis, as well as reduction in number of tonsillectomy and adenoidectomy operations. Implementation of a mass immunisation programme by World Health Organisation against Diptheria saw a reduction in childhood tracheostomies and their morbid complications. Introduction of immunisation by the government against Rubella on a national level resulted in a reduction of birth of babies with hearing handicap. Over the last 30 years, the specialty has undergone dramatic development. It has taken advantage of the new advances in endoscopy, microsurgery, the use of laser, cytotoxic drugs, flap reconstruction, information technology and developments in imaging radiology. During the same period, individual surgeons, although still calling themselves otorhinolaryngologists, have sub-speacialized in otology, otoneurosurgery, skull base surgery, head and neck surgery, phonosurgery, rhinology, facioplastic surgery and paediatric otolaryngology. Information technology has made the world virtual and smaller. The knowledge-based society has grown wider and broader. And now, it remains for us, ladies and gentlemen, to take the flag of Otorhinolaryngology to greater heights, more greater heights and even greater heights.